Ramen fans, there’s a new ramen coming to you, and this one comes courtesy of none other than Michelin-starred ramen restaurant Tsuta. If you’ve been to Tsuta, you’ll know that the limited seating restaurant sees queues daily at both its Orchard and Tai Seng branches. You’ll also know that they serve up sumptuous bowls of their signature fragrant truffle oil blended Shoyu Soba. 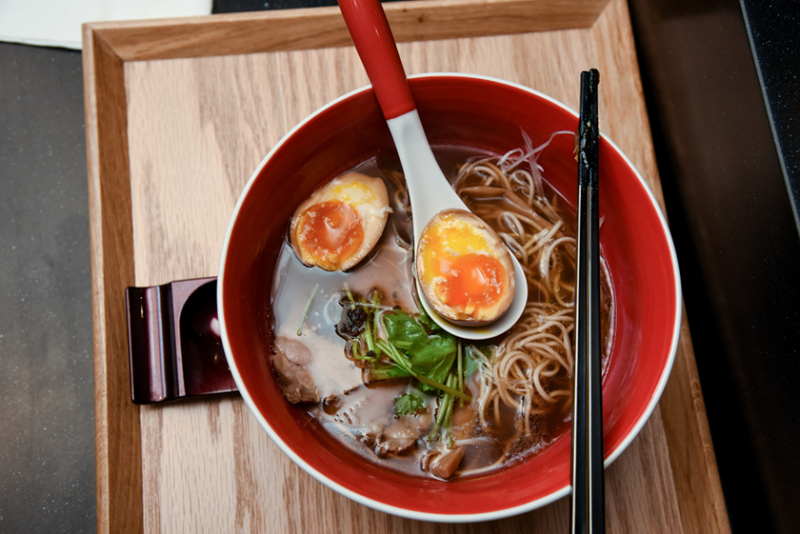 If you’re a fan of Chef Yuki Onishi’s truffle-y take on Japanese ramen, or just love trying different, novel ramen dishes in general, you’ll love what Chef Yuki Onishi has cooked up just for his Singaporean customers. For their first year anniversary in Singapore, Tsuta has come up with not one but two ramen dishes, and the star ingredient is a meat we Singaporeans eat plenty of: duck. 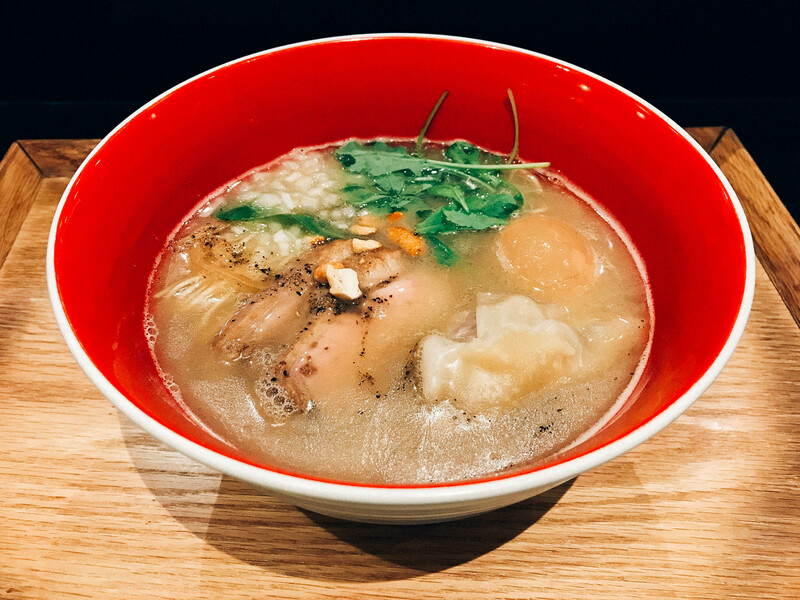 Noticing the popularity of the ingredient during his visit to Singapore in 2016, Chef Yuki Onishi decided to create a ramen dish inspired by it. After experimenting with different recipes and cooking methods for a year, he created 2 ramen dishes: the dry Kamo Abura Soba, and Kamo Paitan Soba which is served in soup. The Kamo Abura Soba ($10) features noodles that have been marinated with premium shoyu and duck oil. Creamy, with an umami flavour, the ramen noodle comes topped with poached duck breast, baby leaves, crushed roasted cashew nuts and yellow onions. The ramen is served with a separate bowl of clear chicken stock soup. What we love about this dry ramen is that you can really taste each individual component of the dish. The poached duck breast is slow cooked in shoyu sauce for an extended period of time, and is juicy with a tender bite. The cashew nuts and onions provide a nice contrast, bringing some nuttiness and sharpness to the flavours in the bowl. The clear soup is also light and refreshing – a nice contrast from the stronger flavours in the ramen. If you prefer your ramen in soup, you will probably prefer the Kamo Paitan Soba ($11). This ramen dish features a creamy broth where the flavour of the duck really comes through. A broth that’s not too heavy, it is slow cooked for 5 hours with duck bones and even duck feet, giving it its rich flavour and creamy consistency. Just like the Kamo Abura Soba, this ramen comes topped with slices of duck breast, baby leaves, cashew nuts, and yellow onions. 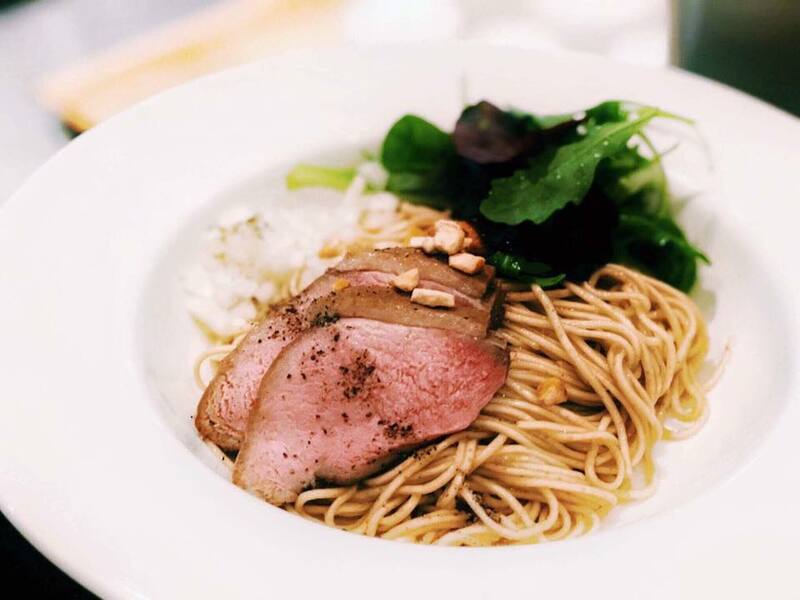 While Tsuta is not the only ramen restaurant in Singapore to come up with a duck ramen, we think they’ve nailed it with these delectable new ramen dishes. A dish that celebrates the flavours of duck, this is sure to be a hit with those who love the gamey meat. These ramen dishes will only be available from 4 November onwards and are exclusively available in Singapore. The next time you’re craving a hearty bowl of ramen, be sure to head down to your nearest Tsuta to eat it!